Explore these museums in Madrid that have free entry all day, every day (apart from the Prado, which is only free for part of the day). Officially Spain's most popular tourist sight and now free (for a limited time) every day! The Museo del Prado is Spain's premier art gallery, housing the finest works of art Spain has ever produced. When is it free? 6 p.m. until 8 p.m. from Monday to Saturday and from 5 p.m. until 8 p.m. every Sunday. The Reina Sofia is Madrid's world-famous modern art gallery - and it really does have free entry at weekends. That means you can see many works by Salvador Dali and Pablo Picasso - including the latter's masterpiece, the Guernica - completely free. Also free Saturday afternoons. When is it free? Sunday mornings (10 a.m. - 2.30 p.m.) and on Mondays, Wednesdays, Thursdays, Fridays, and Saturdays from 7 p.m. to 9 p.m.
Madrid's bullfighting museums is a must if you have an interest in bullfighting, especially if you aren't going to be able to get to see a bullfight while you're in town. Madrid's seafaring museum has naval artifacts from the 15th century up to present day, including remains from the Battle of Trafalgar. The Museo Tiflológico is Madrid's Blind Museum, maintained by ONCE, the Spanish blind association. Not so much about the blind as for them - which means lots of touchy-feely exhibits that anyone can enjoy. A bit different from the average museum. The great Spanish painter's final resting place, with many of his works also on display. An above-average archaeological museum, with its main attraction being a replica of a prehistoric cave. 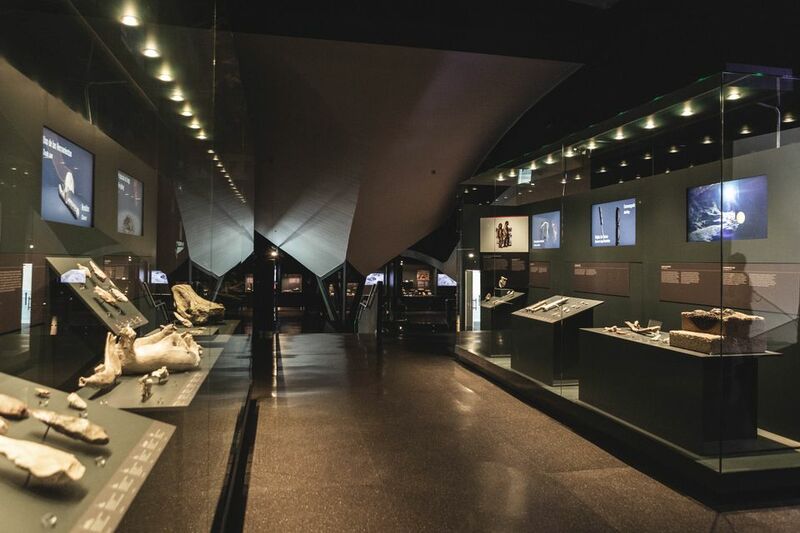 Museum about the history of Madrid, from prehistoric times to the present day. Address CALLE FUENCARRAL, 78, 28004. Another museum dedicated to the history of Madrid, this time dedicated to the city before it became the capital of Spain (when it was just a small provincial town). Contemporary paintings, sculptures, and drawings by Madrid artists. Monastery in the absolute center of Madrid (between Sol and Gran Via) with a number of religious artifacts, tapestries, and paintings. The royal residence and gardens. Works by Goya, Velázquez and El Greco, among others. If you've already done Madrid's top three museums and are looking for a fourth museum of fine art - you've found it. Address: c/ Serrano 122, 28006 Madrid. Museum chronicling the history of Spanish fashion. Address: Avenida de Juan de Herrera 2, Madrid, 28040. It's a railway museum, which means its a museum - about railways. Closed in August. It was the Spanish who 'discovered' the Americas, and this fact is commemorated in this museum. Also goes some way to examining their pre-colonial history. Museum of decorative arts, from Roman times to the present day. The work of Joaqua Sorolla, a Valencian painter, on display in the studio where he painted them and the house where he lived. Museum of 18th-century Spanish art.